This is the only time of year when POAT is in a public setting explaining what POAT is about. This year, we will purchase gifts for 54 surviving children. A large contingent of volunteers is needed every year to fill all of the vacancies at the various malls. Please do your part by targeting a mall where you would like to assist and contact the coordinator. The tables open on Black Friday, November 23, 2018, and will be set-up through December 24, 2018. The “Cops Ride for Kids” Motorcycle Ride to benefit POAT’s Holiday Gifts for Surviving Children will be held on Saturday, December 1, 2018, at 9:00 a.m. The ride will begin at the Miami-Dade Police Department Headquarters Building, 9105 NW 25 Street. Registration for the event is $20 per bike. A commemorative bottle opener will be given to each registered rider (while supplies last). Online registration is available at www.poat.org. Please contact Rudy Gonzalez at copsrideforkids@aol.com for details. The Homeruns for Heroes Sixth Annual Kickball Tournament will be held at Kendall Indian Hammocks Park on January 18-19, 2019. The park is located at 11395 SW 79 Street. If interested in forming a team, contact Captain Thamy Gonzalez at 305-216-6605 or email u302132@mdpd.com. Team Registration Fee is $300. Each team will receive 15 t-shirts. Online Registration is available at www.poat.org. Deadline for team registration is December 3, 2018. Hurricane Michael Response ~ During the week of October 16 – 22, 2018, POAT and PBA representatives traveled to Bay County/Panama City, Florida. Emergency repairs were provided to local law enforcement officers’ homes in areas devastated by Hurricane Michael, in order to make them livable. Rosemary Zore, Founder of The Fallen Officer-Robert L. Zore is the daughter of Miami-Dade Police Department Robert L. Zore, who was shot in the line of duty on Christmas Eve, and succumbed to his injuries on Christmas Day 1983. He left behind a wife and 7-year-old daughter. On Saturday, November 3, 2018, POAT representatives attended the Robert L. Zore Foundation’s First Annual Blue Bowl Flag Football Tournament. Proceeds from the event were presented to the families of Fort Myers Fallen Officer Adam Jobbers-Miller and Clay County Deputy Ben Zirbel. The 9-11 Ceremony will be held at the Law Enforcement Memorial site in Tropical Park on September 11, 2017 at 9:30 am. This ceremony honors our country’s police and firefighter heroes who were killed in the line of duty responding to the attacks on our nation. It is important that we never forget all of the heroes that perished that tragic day. 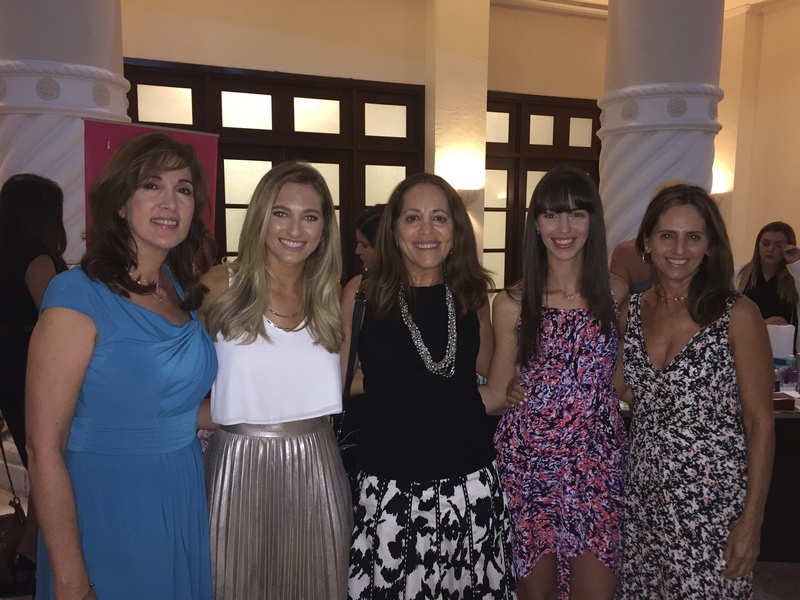 New Fundraiser – Save the Date! A man loves his sweetheart the most, his spouse the best, but his mother the longest. The Tour de Force bicycle ride was held from April 3 – 11, 2017. This is a statewide law enforcement unity ride that raises funds and awareness for officers killed in the line of duty in the state of Florida. The ride averages 50 miles a day starting in North Miami Beach and ending in Daytona Beach with officers from across the state participating. There were over 70 riders who participated the entire week riding 250 miles and as many as 225 riders on any given day. The POAT has supported this ride for many years. Check out the Tour de Force website at Florida Tour de Force. Thank you to everyone that participated in this ride and the North Miami Beach Police Department which took the lead in the logistic planning of the event, and did a great job. On Saturday, April 29, 2017 the POAT Walk Team participated in the Walk to Cure Diabetes at Virginia Key Beach was a great success. The POAT walk team raised $35,100 in sponsorship and donations. Thanks to everyone for your continued support year after year. The Law Enforcement Officers Memorial Ceremony will be held at Tropical Park beginning at 7:00 p.m. on Thursday, May 4, 2017. All Miami-Dade County officers who have died in the line of duty dating back to 1895, are honored at this ceremony. It is our duty to honor the memory of those officers who have died protecting and serving the citizens of Miami-Dade County. If you have never been to this ceremony, you owe it to yourself to attend. Come join us for the Walk to Cure Diabetes on Saturday, April 29, 2017. The walk starts at 8:30 a.m., with registration beginning at 7:00 a.m., at Virginia Key Beach. This is a fun family day at the beach while supporting a good cause. All of the officers and/or their family members who are affected by diabetes are grateful and humbled by the momentum this event has gained over the years and the overwhelming response from the law enforcement community. POAT has raised $780,192 for the Juvenile Diabetes Research Foundation (JDRF) since we began participating in 2003. To register to walk for the POAT Team, log onto www.JDRF.org; navigate to the Miami Walk and complete the registration, designating POAT as your team when that specific field appears. Remember, this is a fundraiser which requires everyone who walks to raise money for JDRF to help fund research worldwide. We look forward to your participation and support for the POAT Walk Team. If you have any questions, please contact the POAT office at (305) 594-6662. The Board of Directors of the Police Officer Assistance Trust is proud to offer six scholarships this year. These $1000 scholarships are available to the son or daughter of any full-time law enforcement officer employed by any agency in Miami-Dade County. One recipient for each scholarship will be selected and will receive a $1000.00 check to use towards his or her college expenses. All applications must be received by May 1, 2017. Please visit our website at www.poat.org for specific guidelines and requirements. For further information, you may also contact the POAT office at 305-594-6662 or poatoffice@msn.com. The Motorcycle Ride to benefit POAT’s Holiday Gifts for Surviving Children will be held on Sunday, May 7, 2017, at 9:00 a.m. The ride begins at the Miami-Dade Police Department Headquarters Building, 9105 NW 25 Street. Registration for the event is $20 per bike. A commemorative t-shirt will be given to each registered rider (while supplies last). Please contact Rudy Gonzalez at copsrideforkids@aol.com or the POAT office for details. The Staff and Board of Directors at POAT would like to wish everyone a Happy and Healthy New Year! The Homerun for Heroes Fourth Annual Kickball Tournament will be held at Kendall Indian Hammocks Park on January 13-14, 2017. The park is located at 11395 SW 79 Street. If interested in forming a team, contact Lieutenant Thamy Gonzalez at 305-216-6605 or email u302132@mdpd.com. Team Registration Fee is $300. Each team will receive 15 t-shirts. Online Registration is available at www.poat.org. The Cops Ride for Kids Motorcycle Ride to benefit POAT’s Holiday Gifts for Surviving Children consisted of over 600 motorcyclists enjoying a beautiful day with a ride to the Keys. We would like to thank everyone who participated in the ride and the coordinators who put this together. The next ride is scheduled for May 2017. Come join us for the Walk to Cure Diabetes on Saturday, April 09, 2017. The walk starts at 8:30 a.m., with registration beginning at 7:00 a.m., at Virginia Key Beach. This is a fun family day at the beach while supporting a good cause. All of the officers and/or their family members who are affected by diabetes are grateful and humbled by the momentum this event has gained over the years and the overwhelming response from the law enforcement community. POAT has raised $780,192 for the Juvenile Diabetes Research Foundation (JDRF) since we began participating in 2003. To register to walk for the POAT Team, log onto www.JDRF.org; navigate to the Miami Walk and complete the registration, designating POAT as your team when that specific field appears. Remember, this is a fundraiser which requires everyone who walks to raise money for JDRF to help fund research worldwide. We look forward to your participation and support for the POAT Walk Team. If you have any questions, please contact the POAT office at (305) 594-6662. Happy Holidays to all from the POAT Board of Directors and staff! The Town of Cutler Bay Policing Unit held the third annual Black and Blue Run on Saturday November 12, 2016, at 20601 Old Cutler Road. The event was enjoyable for everyone that attended with food, fun and entertainment for all. Officers from many federal, state, county and municipal departments came out to run/walk and represent their agency. The kids had fun in the bounce houses and officers that have not seen each other in years caught up on old times. Thank you to The Town of Cutler Bay Policing Unit for coordinating the event and all of the participants who raised money and supported the cause. The Motorcycle Ride to benefit POAT’s Holiday Gifts for Surviving Children will be held on Saturday December 3, 2016, at 9:00 a.m. The ride begins at the Miami-Dade Police Department Headquarters Building, 9105 NW 25 Street. Registration for the event is $20 per bike. A commemorative t-shirt will be given to each registered rider (while supplies last). Online registration available at www.poat.org until 10 am, December 2nd. If you miss online registration, you can still register at the ride. Please contact Rudy Gonzalez at copsrideforkids@aol.com for details. This is the only time of year when POAT is in a public setting and has the opportunity to explain what we are about. This year, we will purchase gifts for 59 surviving children. A large contingent of volunteers is needed to fill all of the vacancies at the various malls. Please do your part by targeting a mall where you would like to assist and contact the coordinator. The tables open on Black Friday, November 25th and will be set-up until December 23rd. When doing your holiday shopping online at Amazon, you can have a percentage of the purchase amount go to POAT by shopping at www.smile.amazon.com and registering POAT as your charity of choice; then continue to shop on www.smile.amazon.com. Every little bit helps! Sign up today. Wishing you a Happy Thanksgiving to all from the POAT Board of Directors and staff! The Town of Cutler Bay Policing Unit is coordinating the third annual Black and Blue Run to raise funds for POAT. The run will be held on Saturday November 12, 2016, at 20601 Old Cutler Road. Registration starts at 3:00 p.m. and the run/walk starts at 5:00 p.m. This is a 5K run/walk in uniform with a BBQ to follow the race for all participants. All runners/walkers must raise a minimum of $200. Contact Miami-Dade Police Cutler Bay Neighborhood Resource Unit for details at (305)234-4237. The Motorcycle Ride to benefit POAT’s Holiday Gifts for Surviving Children will be held on Saturday December 3, 2016, at 9:00 a.m. The ride begins at the Miami-Dade Police Department Headquarters Building, 9105 NW 25 Street. Registration for the event is $20 per bike. A commemorative t-shirt will be given to each registered rider (while supplies last). Online registration available at www.poat.org. Please contact Rudy Gonzalez at copsrideforkids@aol.com for details. This is the only time of year when POAT is in a public setting and has the opportunity to explain what we are about. This year, we will purchase gifts for 59 surviving children. A large contingent of volunteers is needed to fill all of the vacancies at the various malls. Please do your part by targeting a mall where you would like to assist and contact the coordinator. The tables open on Black Friday, November 25th and will be set-up until December 23rd.The Homerun for Heroes Fourth Annual Kickball Tournament will be held at Kendall Indian Hammocks Park on January 13-14, 2017. The park is located at 11395 SW 79 Street. If interested in forming a team, contact Lieutenant Thamy Gonzalez at 305-216-6605 or email u302132@mdpd.com. Team Registration Fee is $300. Each team will receive 15 t-shirts. Online Registration is available at www.poat.org. The 9-11 Ceremony was held at the Law Enforcement Memorial site in Tropical Park on September 11, 2016. This ceremony honored our country’s Police and Firefighter heroes who were killed in the line of duty responding to the attacks on our nation. It is important that we never forget all of the heroes that perished that tragic day. This is the only time of year when POAT is in a public setting and has the opportunity to explain what we are about. This year, we will purchase gifts for 55 surviving children. A large contingent of volunteers is needed to fill all of the vacancies at the various malls. Please do your part by targeting a mall where you would like to assist and contact the coordinator. The tables open on Black Friday, November 25th and will be set-up until December 23rd. On Sunday, September 11, 2016, the 9-11 Ceremony will be held at the Law Enforcement Memorial site in Tropical Park at 9:30 a.m. The POAT sponsors this ceremony every year in conjunction with Miami-Dade Fire Rescue. This ceremony is to remember and honor our country’s heroes who were killed in the line of duty responding to the attack on our nation. It is important that we never forget all of the heroes that perished that tragic day. Please make every effort to attend. 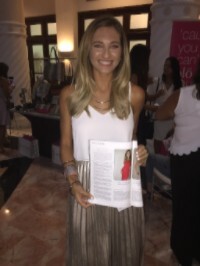 Erica Rakow, the surviving daughter of Miami Beach Police Officer Scott Rakow (EOW June 30, 1988), is a reporter at WPLG Local 10 and was recently nominated as a “Woman of Style and Substance” in South Florida Luxury magazine. She has always been grateful for the assistance received throughout her childhood via our Holiday Gifts for Surviving Children and Educational Assistance programs and chose POAT as the charity she wanted to represent. We are pleased to have been a part of her education as she sought and attained her career in journalism. As a survivor, she knows firsthand the struggles of law enforcement families and holds a special place in our hearts as she pursues her professional goals. These photos and video show Erica receiving her award and speaking to the guests about all that POAT means to her. Congratulations, Erica! Fundraisers are being held for Bal Harbour Police Chief Mark Overton and MDPD Officers German Alech and Diana Castillo, by their respective agencies. If you would like to donate via credit card towards either or both of these fundraisers, you can donate by clicking here. Please indicate the officer’s name in the comments section. 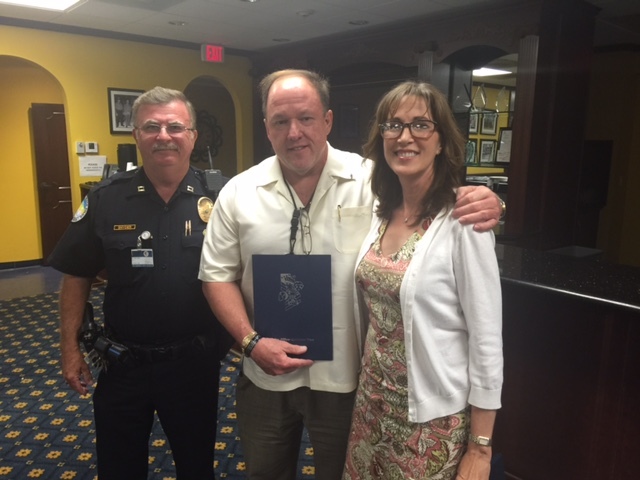 Mike Byrd Scholarship – Adriana Vega-Pernia, daughter of Officer Lori Pernia (not pictured). Roger Castillo Scholarship – Angel Amadeo Jr., son of Officer Angel M. Amadeo (not pictured). Matthew and Andrew Mellies, sons of Sergeant Joy Mellies. Paul Janosky Art Scholarship – Marie Nanney – Charles Nanney, Miami-Dade P.D. When shopping online at www.Amazon.com, you can have a percentage of the purchase amount go to POAT by shopping at www.smile.amazon.com and registering POAT as your charity of choice; then continue to shop on www.smile.amazon.com. Every little bit helps! Sign up today.